Prosecutors will seek the death penalty for Nikolas Cruz, who is accused of carrying out the massacre in Parkland. 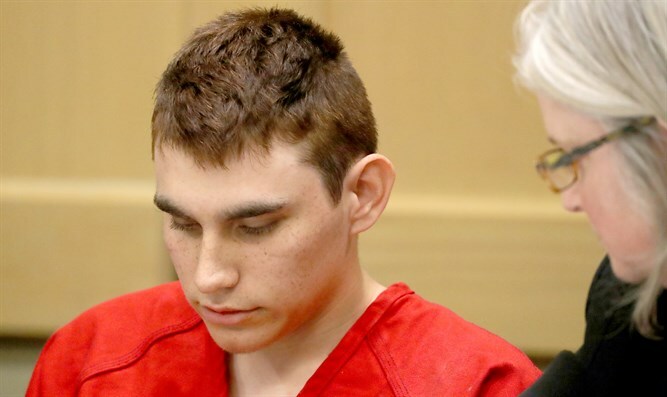 Prosecutors will seek the death penalty for Nikolas Cruz, who is accused of carrying out last month's massacre at a Parkland, Florida, high school, CNN reported Tuesday. The 19-year-old Cruz was indicted last week on 17 counts of first degree premeditated murder and 17 counts of first degree attempted murder. The attempted murder charges relate to those wounded in the attack. On February 14, he entered the Marjory Stoneman Douglas High School in Parkland, just north of Miami, and opened fire with a semi-automatic AR-15 assault rifle, killing 14 students and three staff members. In its filing on Tuesday, the prosecution said that, among the aggravating factors spurring its decision, were that Cruz knowingly created a risk of death for many people, his crime was aimed at hindering "any government function or the enforcement of laws" and that the shooting was "especially heinous, atrocious or cruel." Another factor: "The capital felony was a homicide and was committed in a cold, calculated and premeditated manner without any pretense of moral or legal justification." Cruz, through his attorneys, had previously expressed a willingness to plead guilty to avoid the death penalty. Prosecutors, in Tuesday's filing, also ask the court to put several provisions in place in the event that Cruz's defense intends to introduce documentation or testimony regarding their client's mental health, according to CNN. This could certainly come into play as Cruz's defense team has said he battled with mental illness and depression after his adoptive mother died. After the shooting, police said that Cruz, a former Stoneman Douglas student, stopped at a Walmart and then McDonald's before officers detained him 40 minutes after the rampage.